ABB will install Latin America’s first digitally-enabled substation in the city of Juazeiro, northeastern Brazil. The new 230 kV substation and connection bay at the Juazeiro II substation will deliver power from a 156 MW photovoltaic power plant under development in the area. The Juazeiro solar project is owned and operated by UK-based investment firm Actis and its renewable energy arm in Latin America, Atlas Renewable Energy. Atlas oversees more than 1500 MW of solar PV assets in operation, construction or advanced development. When fully operational, these projects will produce enough clean energy to power more than 350 000 households, reducing CO2 emissions from conventional generation by more than 1,5-million tons. 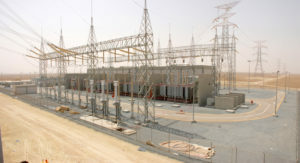 The company will deliver the entire Juazeiro substation and provide a supervisory control and data acquisition (SCADA) system, intelligent electronic devices (IEDs) for protection and control as well as state-of-the-art SAM 600 merging units in the switchyard, all conforming to the IEC 61850 open communications standard. Copper cables will be replaced with fibre-optic cables. The post Enabling first digital substation in Latin America appeared first on EE Publishers.